Sherrie Scraps with passion: Happy Valentine's Day! What a fabulous Valentine treat boxes!!! 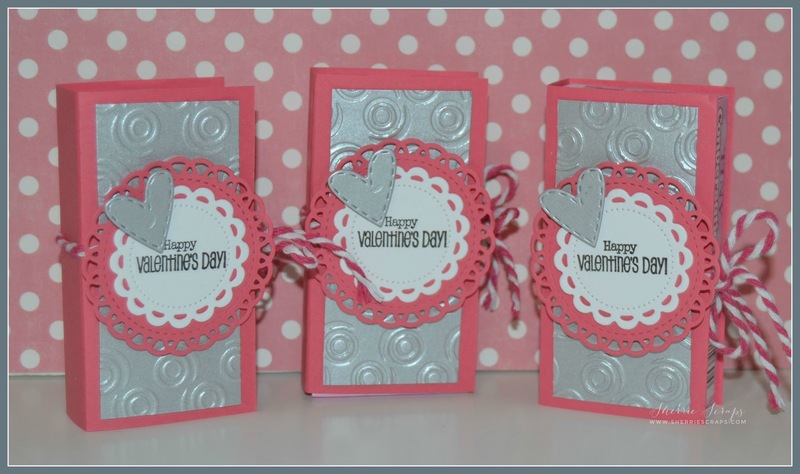 Love the color combo and embossing!!! Simply awesome for the kids!! Have a great day. Soooooooo fun! I just LOVEEEEEEEE these!!!!!!!!!!!!!!!!!!!!!!!!! WOW!! They are just so SWEET!! I love the fun texture that the embossed added. Adore the pretty pink and silver! Such PRETTY treats!! This is AWESOME my friend!! Sherrie these are awesome! My most favorite candies on Vday is those candy word hearts! ANd this is just an awesome way to dress them up a bit! I love the color scheme my friend!!! Thank you for playing in our Funday Friday challenge this week! These are fabulous! !Just perfect for the kids to handout!! These are so sweet !!!! Absolutely adorable ! OMGOSH - How Pretty! What a great Treat idea for Valentine's day! Beautiful treats! Love the pretty papers you used. The embossing looks fabulous! Love, love, love these! Great color combo and the embossing looks wonderful! 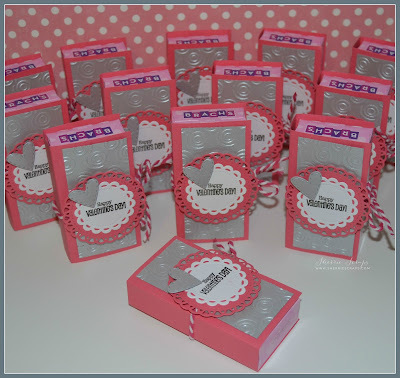 These are really cute great gifts and quick and easy for in a pinch I like that The stitched doily is really nice. Thanks for sharing it with us at My Sheri Crafts! Cute and fun treat boxes! You have been busy! Thanks for sharing with us at My Sheri Crafts!